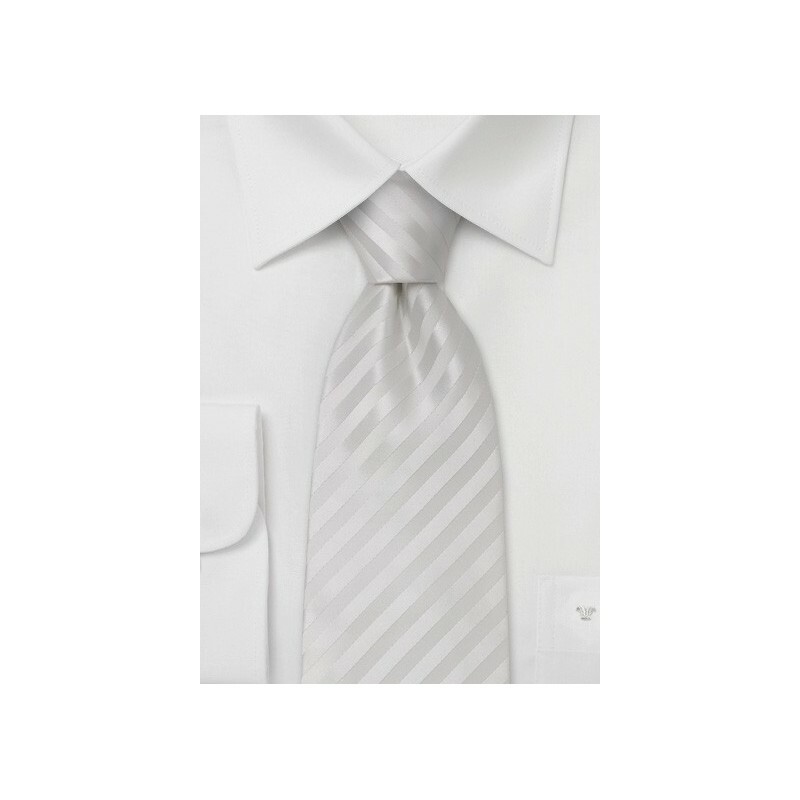 A classy bright white necktie handmade from pure silk. The subtle stripes on this tie are not printed on, but are created by alternating the weaving direction of one single colo silk yarn. 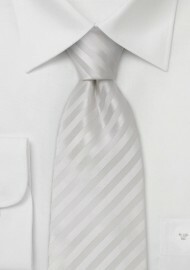 A very formal necktie that will be a great alternative to the bow tie. Please note that this tie is made in XL length of 62", and made especially for the big & tall man. Handmade from 100% silk. Length: 62", Width: 3.25"